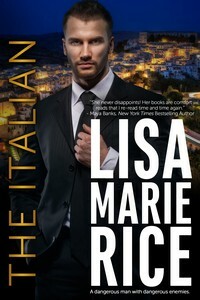 In Palermo, Sicily, a city of heart-stopping beauty and intense danger, one man stands for justice. Stefano Leone is hunting one of the most dangerous men alive. He lives under armed guard, in constant danger. And then a beautiful American woman contacts him and steals his heart. Is she what she seems or has she been sent by his enemy to find his one weakness? Jamie McIntyre comes to Palermo for inspiration for her design business and loses her heart to the toughest, sexiest man she has ever met. She falls under his spell and into his bed, until Stefano’s enemy strikes and she is forced to make an impossible choice. Note: This title was previously published by Ellora’s Cave. The new edition has been lightly edited and updated.